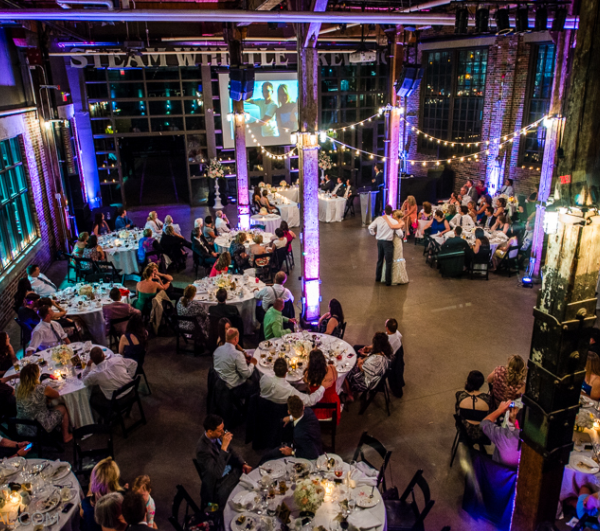 Who would have thought that a brewery would be associated with nuptials but as it turns out, the event space at Steam Whistle is bustling with love! 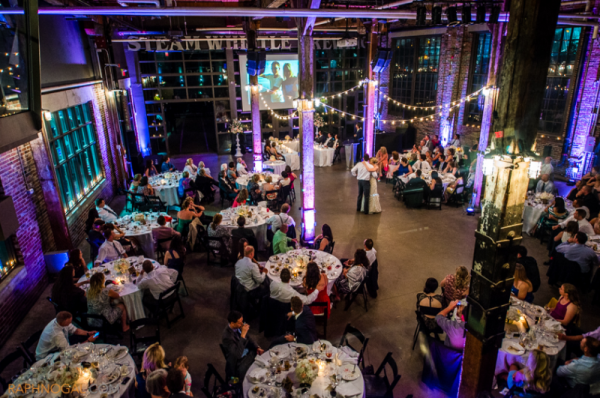 Steam Whistle hosted 74 weddings out of the 271 events held at the brewery in 2014. We’ve become known as one of the more interesting and successful venues for marriage ceremonies & celebrations, and recently won BEST ALTERNATIVE WEDDING VENUE of 2014 at the Canadian Wedding Awards. What do you think makes the brewery such a great/special wedding venue? The brewery’s space is so beautiful with a nice mix of old and new. Our home is a heritage building with a rustic feel in the middle of a modern city. There’s a friendliness and down-to-earth nature to the place, being a craft brewery, and our patio, with beautiful vistas of the city skyline, adds to any gathering. Plus we have so many wonderful partners we work with: the city’s best full-service caterers, Exclusive Event Rentals and Pandor Productions. They help to transform our space to the style and taste of each couple. I really enjoy working with new people all the time and wedding clients in particular because it’s such a happy time in their lives. Steam Whistle isn’t a conventional wedding venue by any means, so we tend to attract people who are particularly creative/innovative therefore ending up with really unique celebrations here, reflective of our clients. What are some of the neat things you’ve seen done at weddings here? 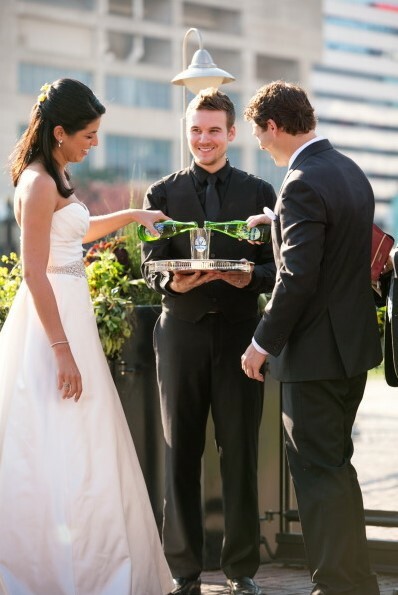 A number of clients perform rituals like sand ceremonies or lighting a unity candle, but one couple made things very unique by pausing their vows, while both the bride and groom poured their own individual bottle of our Pilsner into one glass from which they both drank, toasting their future. It was so original and very lovely. What advice would you give couples who are planning their wedding? 1) Have the wedding you want, that is authentically you and your fiancé. The minute you get engaged, you will be inundated with advice, well wishes and suddenly all your friends and family are wedding professionals! Have a beer with your better half and really reflect on what’s important to the two of you. At the end of the day, that’s what it’s all about. Your love. 2) Hire wedding professionals and trust them to do their job. Seasoned wedding planners, caterers and venues are here to help guide you and create your vision. Trust their suggestions and opinions. They really do know what’s best from experience. And on the day, please let them do their job and just enjoy every minute! 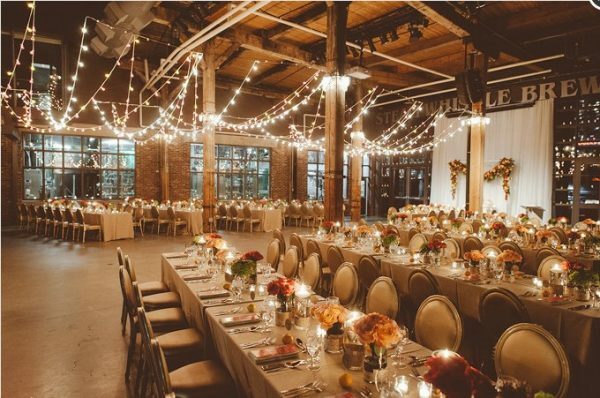 3) Pick a Venue and Suppliers that mesh well with your personality. At Steam Whistle, we are friendly, fun, warm and welcoming. We love couples who are the same! These values absolutely translate into our on-site events and weddings, which is why it’s impossible to leave without a smile on your face. When it comes to your wedding, it’s simple! Work with people you genuinely like and trust, it will make the process 100 times easier. 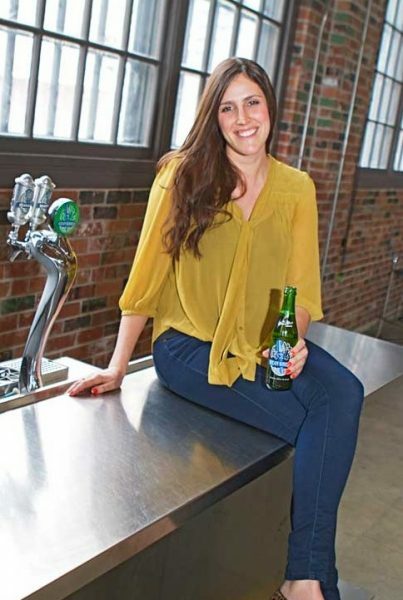 Amy Falkinson began working at Steam Whistle Brewing as a tour guide and event staff while at Ryerson University earning her Bachelor of Commerce degree. It’s then that she fell in love with the history of our building and loved working at weddings, helping to make a perfect, magical night for couples. 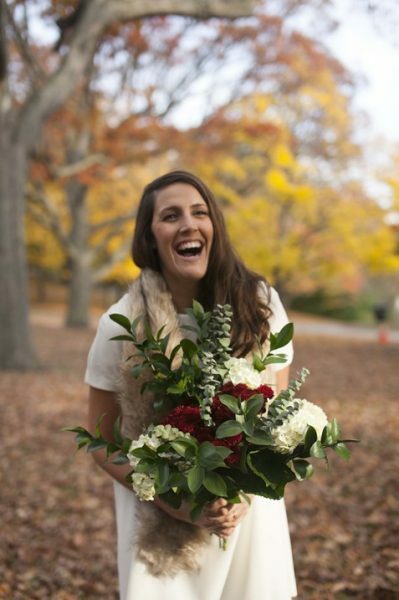 Amy has been our Senior Venue coordinator for three years, helping to substantially grow our wedding business while also taking care of corporate and other third-party events. She is still loving every single minute of it! Amy recently got engaged and is planning her own wedding this year.